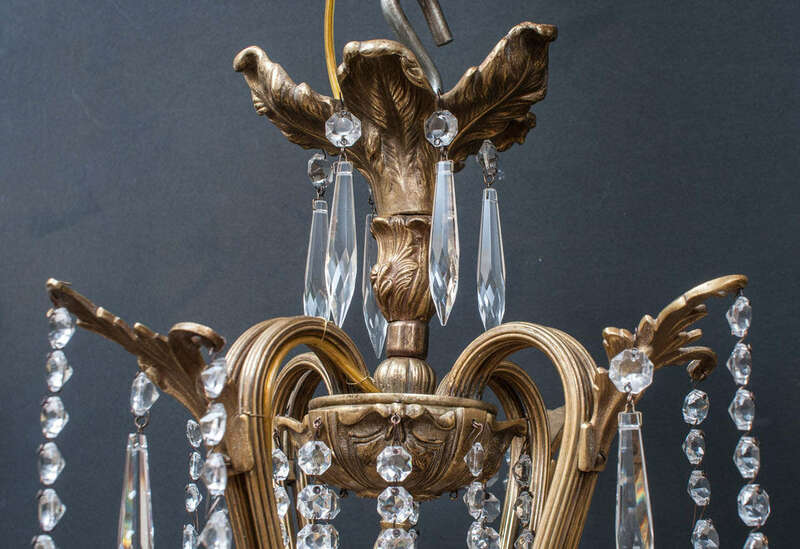 Unusual pear-shaped hand cast frame with lead crystal prisms, 12 lights. 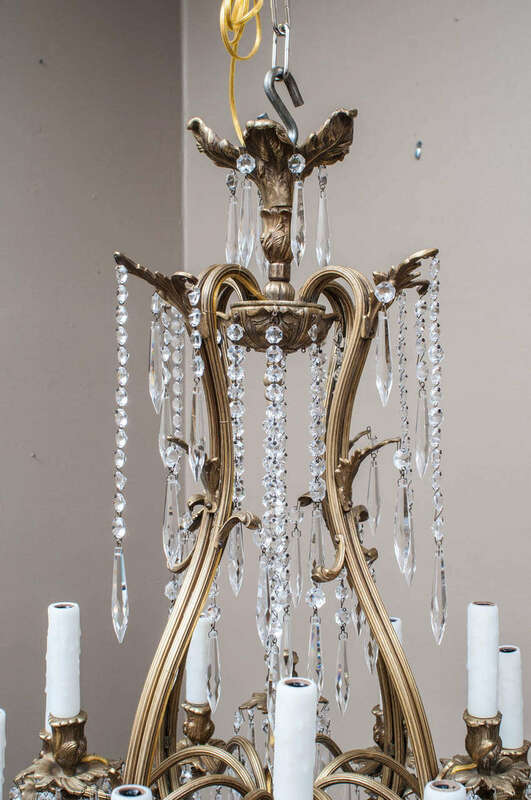 Appropriate ceiling cap, one foot of chain and hanging hardware included. 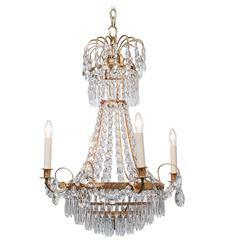 This petite and delicate 4-light chandelier sparkles in the light, excellent Swedish craftsmanship, beautiful patina, includes appropriate chain, hanging hardware and ceiling cap. 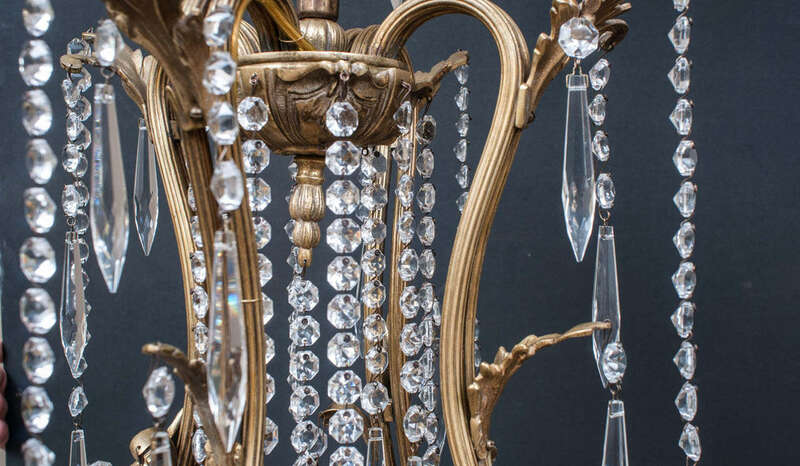 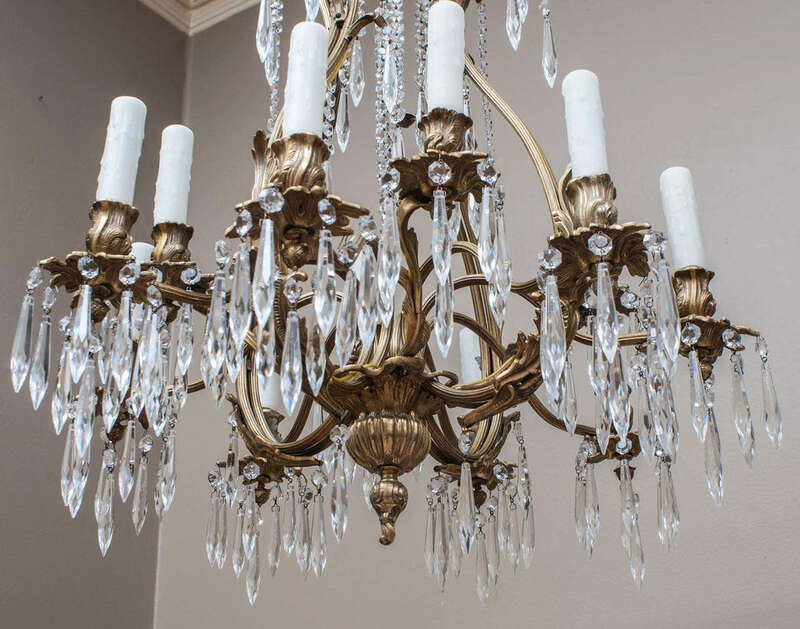 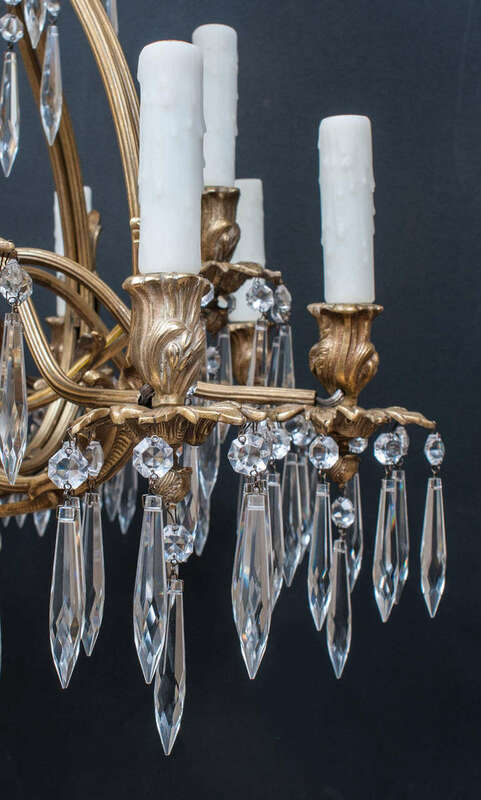 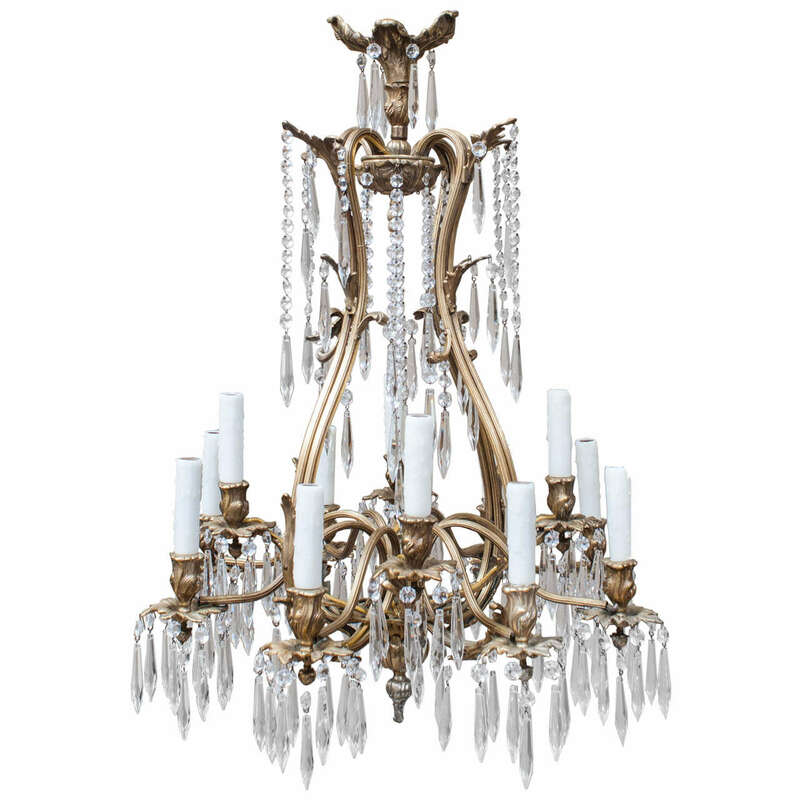 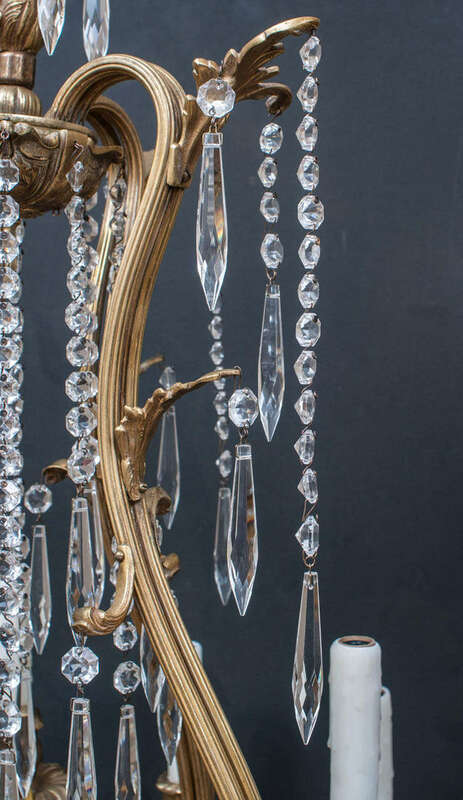 French, circa 1930 Louis XV style chandelier having silver-gilt metal frame with internal sockets hung with various shapes and sizes of faceted and smooth cut crystal prisms. 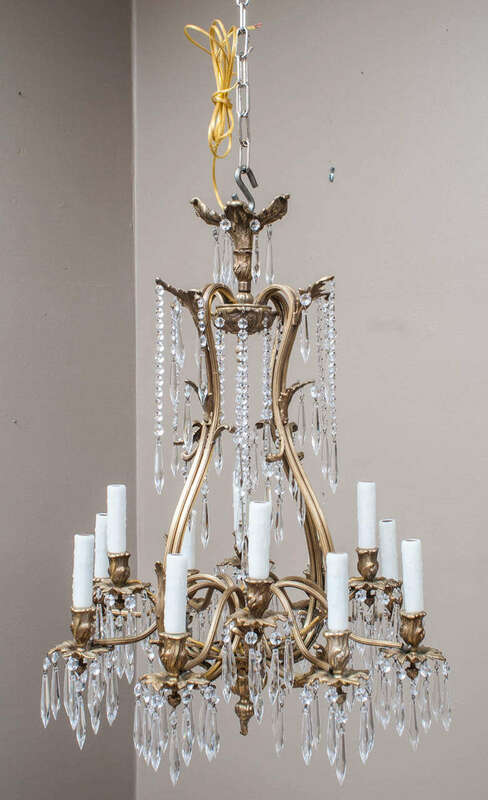 Superb bronze and crystal chandelier, 8 lights , 60 watts max bulb US rewired and in working condition Totally restored and refinished From A Nice côte D’azur estate.